Connie joined Watsi on February 5th, 2014. 4 other people also joined Watsi on that day! Connie's most recent donation traveled 8,700 miles to support Godlisten, a baby boy from Tanzania, for skin graft surgery to treat burns. Connie has funded healthcare for 5 patients in 4 countries. Godlisten was born in Tanzania on May 15th, 2015. After praying for a baby for a long time, his mother named him “God-listen” because her prayers were answered when she was able to have a child. When Godlisten was two months old, his sister was carrying him near some boiling tea. The chair gave way as she sat down, and Godlisten’s hand went straight into the boiling tea. The tea spilled on both of them and they incurred severe burns. Godlisten can no longer use his right hand due to a severe burn scar contracture on his wrist and hand. Our medical partner, African Mission Healthcare Foundation (AMHF), shares, “Left untreated, Godlisten will have a non-functioning right hand, which will affect his ability to perform various activities as he continues to grow.” Godlisten’s father works as a security guard at a privately owned company. Godlisten’s mother used to sell secondhand clothes, fry and sell donuts, and crochet, but she no longer works. The whole family now relies on Godlisten’s father’s salary, which is not enough to cover their basic needs or Godlisten's treatment. With $870, Godlisten will receive a contracture release and skin graft. Afterwards, Godlisten will be able to use his hand normally. “It is a miracle that my son is alive. I give thanks and pray for another miracle that his hand can be straightened so that he can use it normally,” Godlisten’s mother shares. Brysoni is a two-year-old boy from Tanzania. In September of 2015, Brysoni sustained severe burns after surviving a fire in his home. Neighbors rescued Brysoni and his brother and took them to the hospital. “Brysoni’s wounds healed but the fire left him with deformed muscles in his left hand,” states our medical partner, African Mission Healthcare Foundation (AMHF). “If not treated, Brysoni will be left with a non-functional hand.” Brysoni’s mother is raising her children on her own. She owned a small fruit and vegetable stand but was forced to close it down after the fire. She is currently unemployed and relies on family for support. $550 will cover the cost of surgery to remove scar tissue from the joints in Brysoni’s hand, promoting muscle growth and movement. This surgery will restore movement in Brysoni’s hand, giving him far more opportunity to go to school and work in the future. “I pray my son will get well and later on get good education,” says Brysoni’s mother. “This non stop bleeding is worrying. I hope Watsi will support me so that I can be well and take care of my children,” shares Catherine. Say hi to Catherine, a 46-year-old mother of six from Kenya. For three weeks, Catherine has been experiencing lower abdominal and uterine bleeding caused by noncancerous tumors, or fibroids, in Catherine's uterus. Due to the bleeding masses in her uterus, Catherine is now at risk for severe anemia. The growth of the fibroids could also affect other body organs. Catherine is a very social woman, with leadership positions in her women groups. She and her husband are farmers and depend on farm produce for their basic needs and the education of their children. To supplement the family income, Catherine’s husband also seeks out casual work. The bleeding and pain has persisted and Catherine can no longer socialize with her friends, neighbors, or women groups. Doctors at our medical partner, African Mission Healthcare Foundation (AMHF), have recommended a total abdominal hysterectomy, a surgery Catherine’s family is unable to afford. We can fund a successful surgery for $790. “We expect after a total abdominal hysterectomy, Catherine will recover fully,” AMHF doctors describe. “She will be able to lead her women groups and take care of her children.” Let’s help this social mother get back to participating in her daily activities! 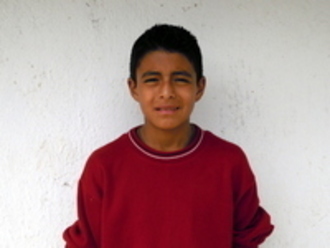 Meet Gerson, a 12-year-old boy from Guatemala born with a leg-length discrepancy. Because one leg is shorter than the other, Gerson walks with a limp and suffers from chronic back pain. It was only a few weeks ago that he was diagnosed properly and given hope that he could walk, do his chores and go to school without pain. Help us raise $300 for the special orthotic device he needs. Placed inside his shoe to balance out the length of his leg, this device is expected to completely relieve Gerson of his pain!